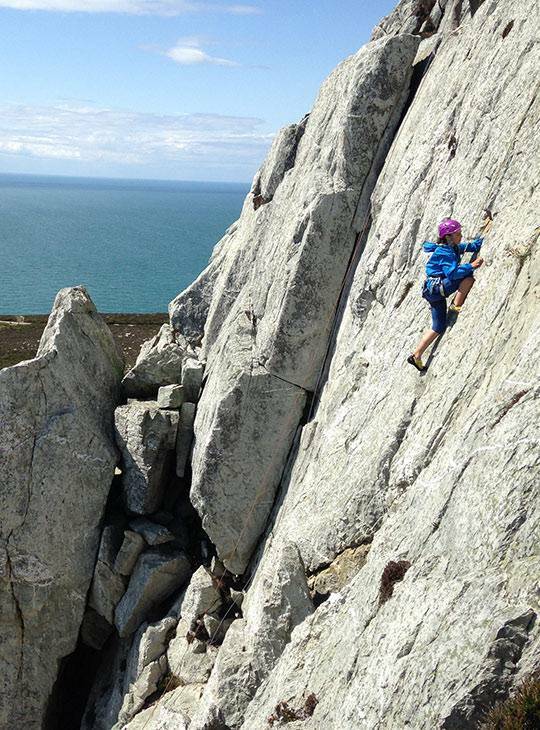 This immersive five day course is all about going climbing and gaining valuable mileage on rock. The aim of the course is to develop your climbing ability, knowledge and understanding of technical ropework and safety. 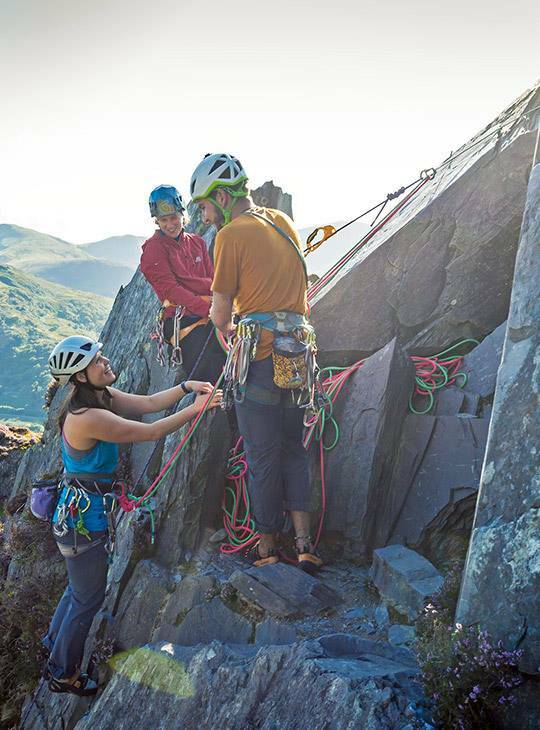 Our instructors will take you out to all the best crags that will challenge you and develop you, so you can handle them yourself when you head out with friends. 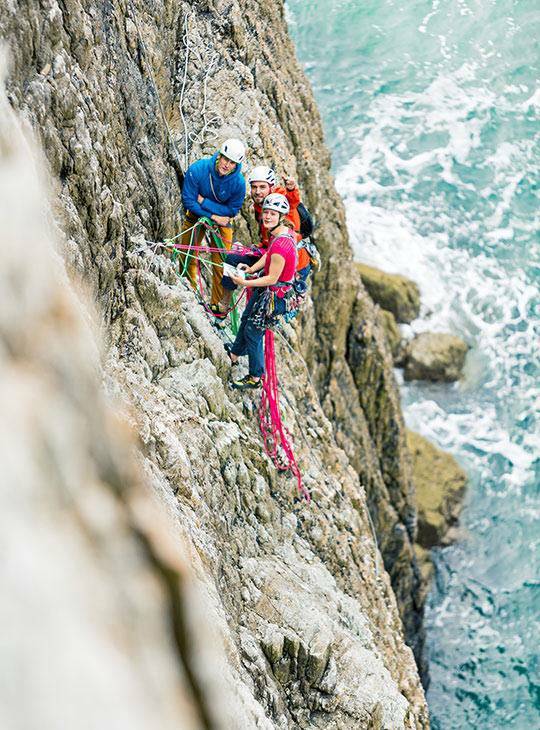 They'll have you following pitch after pitch of climbing on single and multi pitch crags, on stunning mountainous crags and wild, adventurous sea cliffs. This is a great course for you if you're thinking about starting lead climbing but don't yet have enough experience under your belt, or if you're not interested in lead climbing yet, but want to have some climbing adventures. 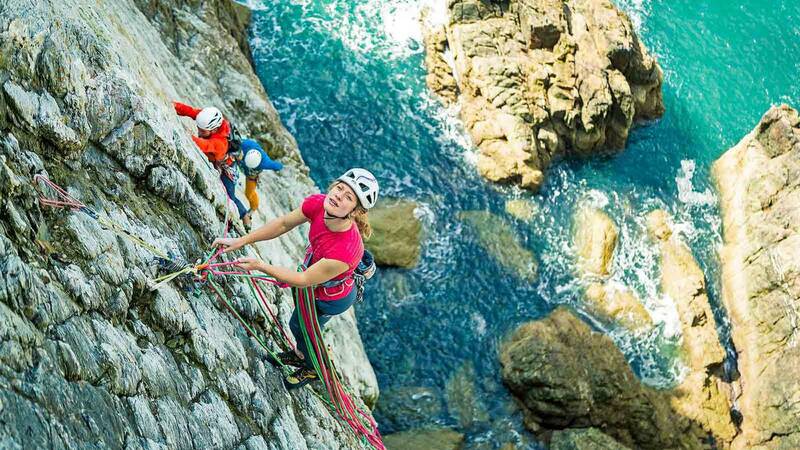 So it's all about stacks of climbing and learning from some of the country's most experienced climbing instructors. To get a whole stack of climbing under your belt. 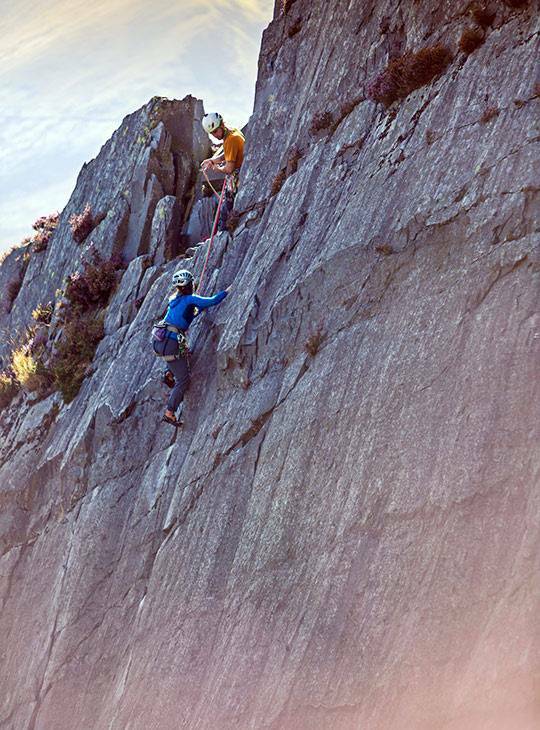 Learn to be self sufficient and become a really handy climbing partner. This course will provide you with the best foundation to go away and develop before starting to lead climb. During the five day course we climb on multi pitch crags for up to three days. If you’ve been on our Get Started Rock Climbing Course and been out on the rock ever since, this is a great next step. If not, you should have done some rock climbing already and know you want to go climbing in more adventurous places, and want to move your skills on from the basics. Outdoor wear which is comfortable to climb in - prepare for any weather! Any climbing rack/gear you own. The following items are available for you to borrow from our equipment stores so you don't need to rush out to buy them: Any climbing gear, rucksack, waterproof jacket and trousers. Climbing ropes are always provided by Plas y Brenin. Ideally, you'll have done some climbing and tie on, belay, and have an understanding of how climbing works.